We at the World Championship of Ping Pong are continually looking to expand our brand and global reach. One of our primary mechanisms to achieve this will be global franchises. The purpose of these franchises will not only be to expand the reach of ping-pong, but to feed the best talent each country has to offer to the World Championship of Ping Pong. The winner of the WCPP’s Mexico franchise, for example, will go on to represent Mexico in the main tournament. · Gross sponsorship/advertising sales for events held within Canada. The following Mexican players are some of the nations best. The Mexican Master Franchisor should personally invite the most talented players in his or her country to participate. A dominant presence in the Latin American Table Tennis community, Marcos Madrid was nothing short of dominant at the 2010 Central American and Caribbean Games, winning the gold in Men’s Singles, a bronze in Men’s Doubles, a silver in Mixed Doubles, additionally Madrid is a four time Mexican Table Tennis Champion. 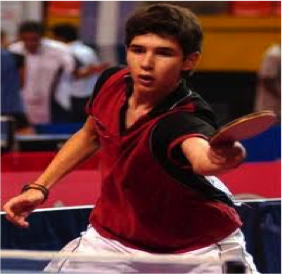 He is currently ranked number 247 in the world, and is presently living and training in China. 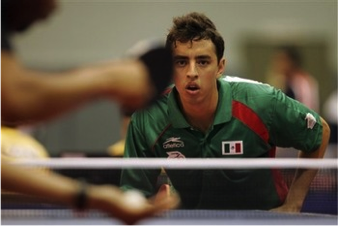 Salvador Uribe is young talented Mexican ping pong player. He has performed brilliantly in recent events and continues to improve his world and Mexico rankings. He is considered one of the top five players in Mexico. Salvador Uribe is currently ranked in the top 1,000 players in the world. If you are interested in owning the Mexican Franchise, or wish to inquire about other international franchise opportunities, please contact Bryan Ciambella at bciambella@liquidityworks.com or call him at 212-953-3000.